Everyone knows that when you apply for a website, the domain name registry gives you a jumble of random letters and you have to make the best name you can out of them. That's why LanceandEskimo.com has such a weird, seemingly random name. But we can't complain too much: we did a lot better than sites like "cnn.com" and "msn.com". They didn't even get any vowels! What can you spell with that? inane clods make: This would actually be a much better name for our site than Lanceandeskimo, since we're basically a bunch of inane clods who make stuff. We were going to use inaneclodsmake.com as the name of our primary site, but Lance and Eskimo got all huffy for some reason. Lando makes nice: Our insides turn all to jelly when Lando makes nice. 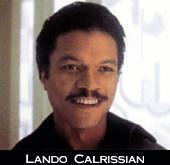 That's why this site is entirely devoted to images and video of Lando saying, "Hello, what have we here?" and "You look absolutely beautiful." koala minces Ned: We were at a loss with what to do with koalamincesned.com. Finally we just handed out knives to the koalas and dressed Ned in a eucalyptus suit. The koalas knew what to do. *because it is a snake, the AMA. macedonian elks: Apparently there are no elks in Macedon, but when there are, we'll be able to write about it on this site. 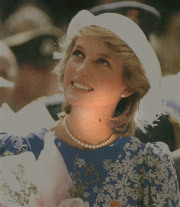 Diana's neck mole: A site devoted to in-depth study of the skin on Lady Di's neck and chin, this site was slightly less popular than DianaNecksMole.com, which detailed her amorous experimentations with the anthropomorphic animal characters from Kenneth Grahame's The Wind in the Willows, including the now infamous "Badger shot". see Madonna lick: For some reason, this site is far more popular than lanceandeskimo.com. I guess people like to watch celebrities lick envelopes! Neo decks animal: Some of the over-the-top violence of Matrix 2 may seem cruel at first, but it makes a lot more sense when you remember what the animals did to Ned. cold knees mania: Some people spend far too much time thinking about cold knees, even going so far as to make web pages about it. We thought it would be great to have a daily PortalOfEvil-style site that cruelly mocked some of the most cold-knees-obsessed websites, maybe having a "Bait the Cold-Knees-Aficionado" email contest and a "TMI About Your Cold Knees" daily feature. But it turns out there's only one site on the internet about cold knees.